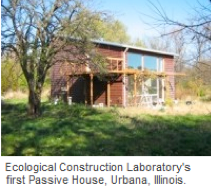 e-co lab is a program of the Passive House Institute US (PHIUS), a 501(c)3 non-profit organization. e-co lab is housing development organization of the Urbana HOME Consortium. Based in Urbana, IL, we are committed to designing delightful and energy-efficient buildings to especially serve low income families, providing them with safe, affordable, and environmentally healthy homes. 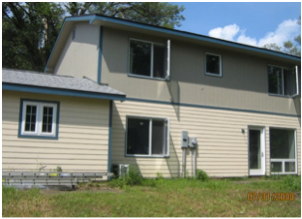 e-co lab serves our local community but we are also involved in projects and programs in, Canada, and at and across the United States in our efforts to improve the quality of life through highly efficient housing. By "highly efficient" we mean a giant reduction in the amount of energy required to heat and cool homes, offices, schools and other buildings. This means our designs actually save money for the people dwelling in them—that’s more to spend on life-enriching items like food, medicine, computers, a new couch, a new dress, or a piano! e-co lab adheres to the Passive House Design Standard, originally established in Germany in 1992, and now spreading throughout the United States. Far more stringent than Energy Star and other U.S. standards, the Passivhaus Standard requires reducing the operational energy load by 90% when compared to existing buildings. 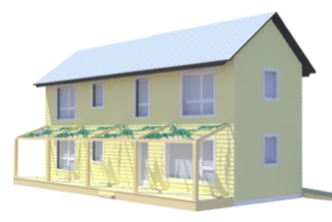 What makes a building a Passive House? Our home state of Illinois is mostly powered by nuclear and coal plants. e-co lab’s energy-saving, passive house designs can drastically reduce Illinois' dependence on these energy sources while slowing the rate of global climate change. We want this standard to be as widespread in the United States as it is in Europe, so together we can make housing economically and environmentally affordable for everyone. We invite you to learn about our past and future projects, services, research, and staff, as well as our favorite books, tips, and links. We want to be a connecting network and database for sustainable construction techniques, linking related information and initiating exchange of ideas in a holistic kind of way. We want a society where humans can joyfully survive in co-existence with the larger environment. We also want a mindset of abundance rather than restraint in regards to ecological living. As designers, we are able to shape the spaces we live in—but the spaces we live in shape our lives as well—so that lovely, peaceful habitats can be available to everyone. Humans must be helpful participants in the world through our creativity, and e-co lab wants to apply this creativity in dwelling-design as the starting point.